I know that things seem quiet now, and I don't want to start anything, but I do still think it's very sad, that we have a community, where we accept people being bullied to an extend where they don't want to publish their strips in public. Please don't comment on this, at least not here - just think about it. had missed this! a great image, dark and thrilling! WTF? How did I miss these earlier strips? 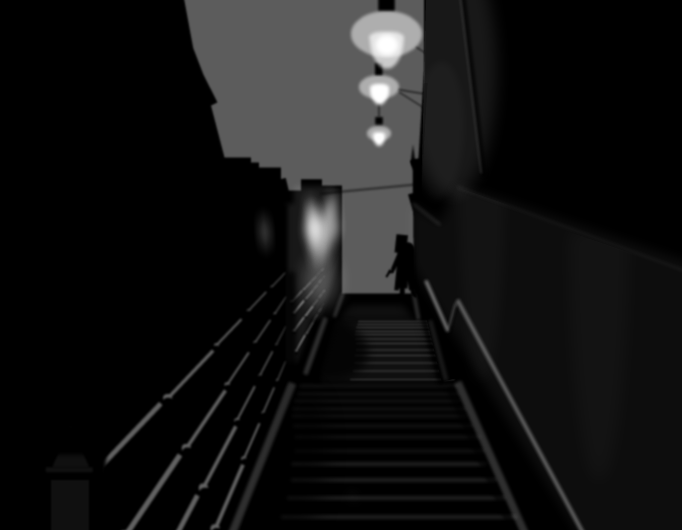 Man...I really wish I had the skill/time to do a noir storyline like this. I LOVE it! Dark and mysterious! Ok... I am back in my shizzle form, still checking on you guys.